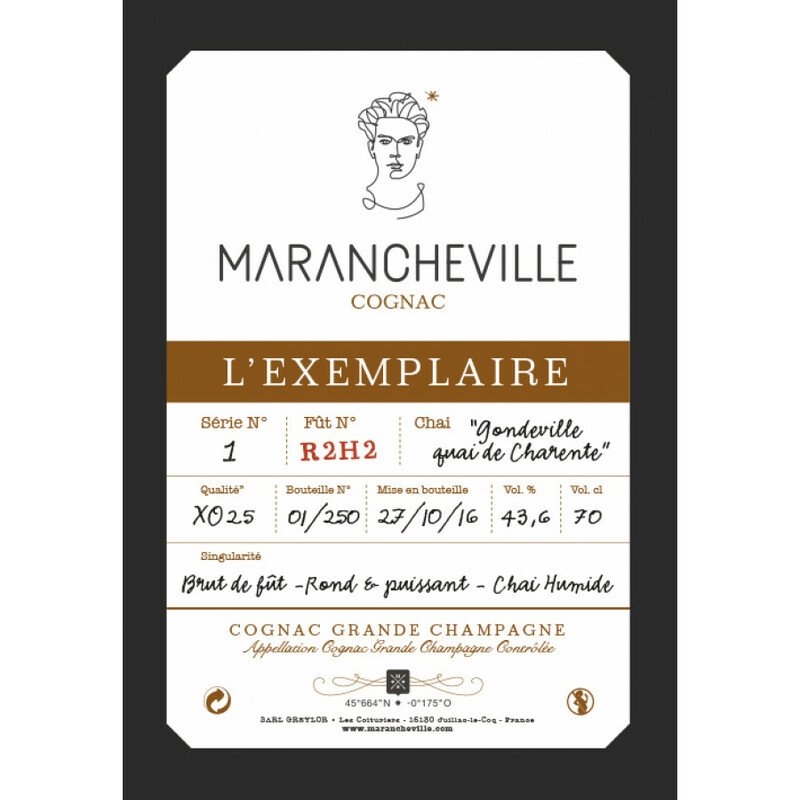 The Marancheville l'Exemplaire Cognac is a true embodiment of the passion and love that the house pours into every product they create. This limited edition, Grande Champagne Cognac is proof that you don't need to be a connoiseur to appreciate a great cognac. It's an XO quality with the youngest eaux-de-vie in the blend having been aged for 25 years. A 'brut de fut' cognac, which literally means it's direct from the barrel, only 250 bottles have been produced. it's strong, powerful, and has a distinctive taste having been allowed to age in a humid cellar. Delightfully you even get to know the name of this exact cellar - it's called the 'Gondeville Quai de Charente'. 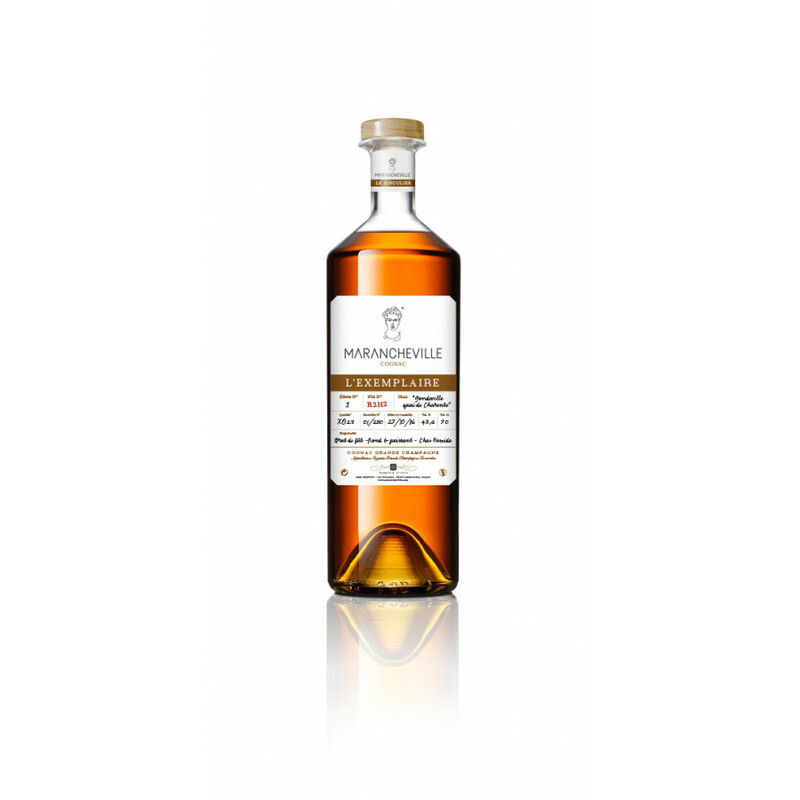 Slightly over-proof at 43.6%, this is a Cognac that takes you on a whirlwind of a tasting journey. It's definitely one to enjoy with good friends or family after a fabulous meal. 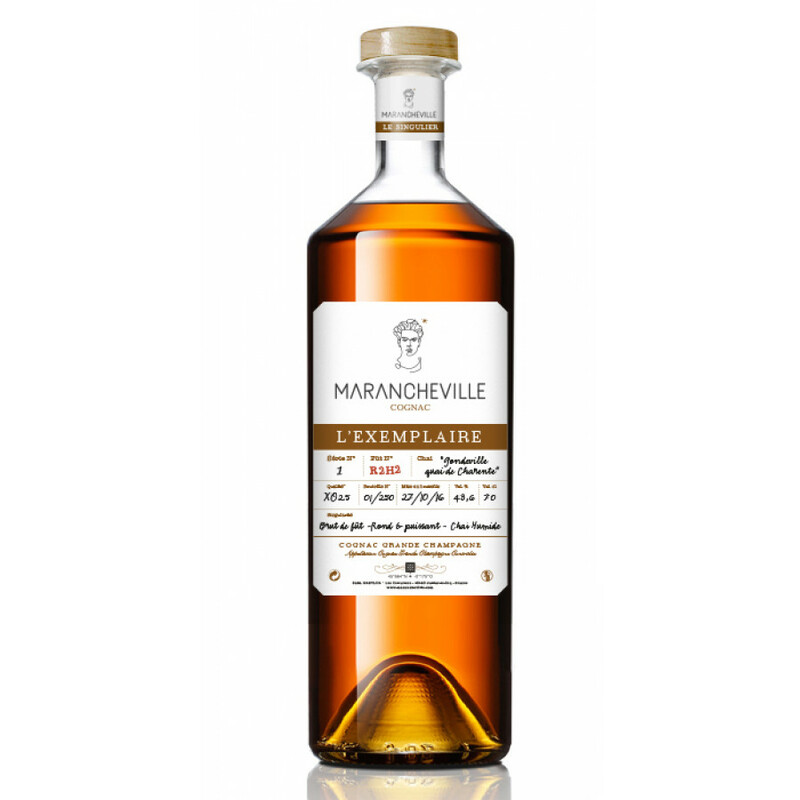 A young brand by name, but not by experience, Marancheville Cognac is the creation of two family men, Gregoire and Laurent, who decided to not only distill eaux-de-vie for the larger known brands, but to put their passion into creating quality cognacs under their own brand. What a great result! Nose: It surprises by its great smoothness. Palate: Smooth and pleasant, very light. Finish: Good balance with intense woody notes and rancio on the finish.